Last week, Rae and I traveled down to Southern California for a screening at UC Irvine. Professor Hu Ying, Associate Professor, East Asian Languages & Literature, was one of our three academic interview subjects in Autumn Gem. We showed the film at Connecticut College and Brown University during our October 2009 tour, so we were excited to complete our scholarly tour! We drove down a few days before to meet up with filmmaker Arthur Dong, who screened his latest documentary Hollywood Chinese at the South Pasadena Library on Thursday. Meeting with him on Saturday at the Chinese American Museum in Los Angeles, we discussed methods to better market the film to our core audience of educational institutions and Chinese/women’s organizations. 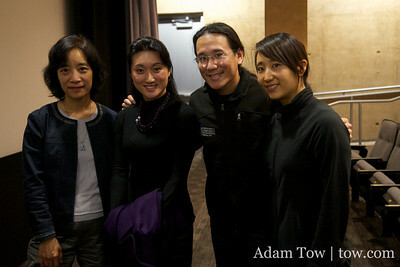 On Tuesday, we returned to UC Irvine for the first time since we interviewed Professor Hu Ying in May, 2008. It certainly doesn’t feel like nearly two years have passed! We attended her Gender in Chinese Poetry class and listened to three of her students presenting their interpretations of Qiu Jin’s poems. Although the English translations were different, I could immediately identify some of the ones we used in Autumn Gem. Following lunch at the University Club, Rae and I retired to the spacious Student Center to get some work done before the screening. A few hours later, we headed to the McCormick Theater in the new Humanities Center building. By 7:00 pm, the theater completely packed with students, faculty and some people from outside the school. Thanks to all of the professors who brought their students to the screening; we appreciate the large turnout you helped bring! Along with Professor Hu Ying, Li Jing joined us for the Q&A session. One person asked who did the Chinese calligraphy in the film — that was the handwork of Li Jing, my Mom and Rae’s mom. There was a question about how the re-emergence of Confucianism today was viewed by Chinese women today. 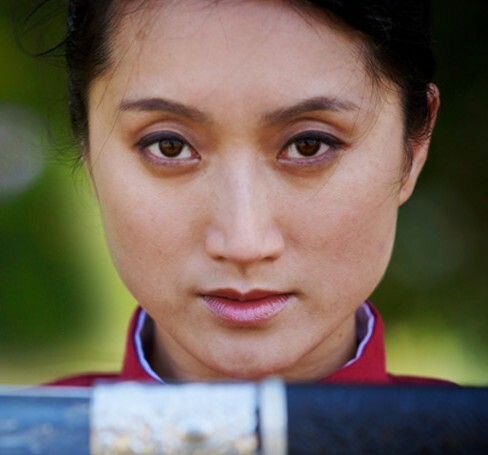 In the film, we mentioned how women were not seen positively through the Confucian lens during the Qing Dynasty. 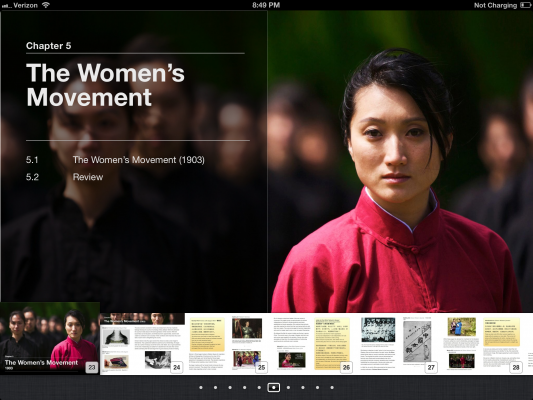 Scholars at the time may have distorted Confucius’ teachings to suit their own agenda. Our next screening will be next Saturday, March 13, 1:00 pm, at the Willow Glen Public Library. It’s sponsored by the American Association of University Women. Finally, big thanks to Andy/Irene, Walt/Judy and Dave/Audrey for letting us stay at their respective houses in SoCal. And now for some photos from our screening at Irvine! Update March 18, 2010: The China Beat blog at UC Irvine conducted a Q&A with Rae about Autumn Gem. Check it out! 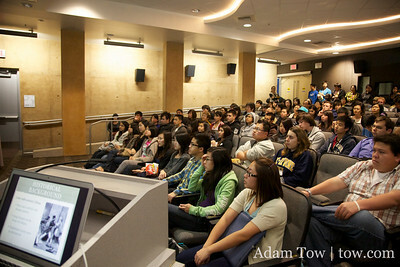 Here are photos from our screening at UC Irvine.